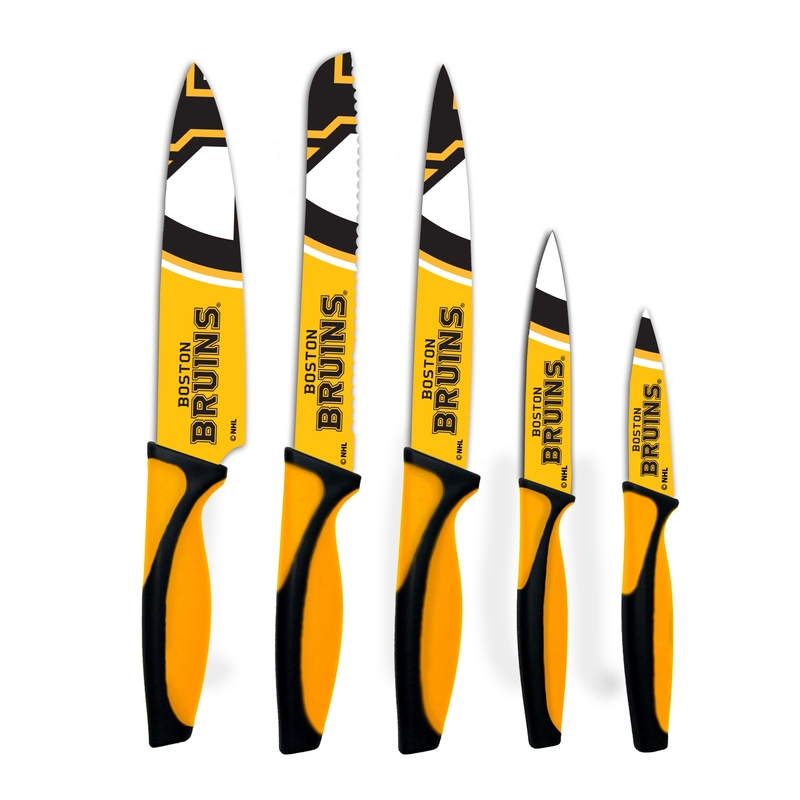 Sharpen your team spirit with the Nhl officially-licensed Boston Bruins Kitchen Knives Set of 5. 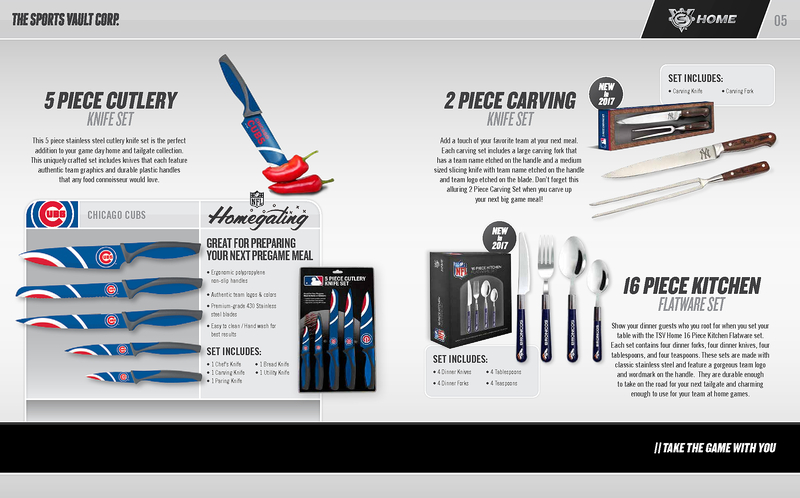 Equipped with a paring knife, carving knife, utility knife, chef's knife and bread knife, this set gives you the power and versatility needed to assemble a winning spread at your next tailgate or game party. The Boston Bruins Kitchen Knives Set of 5 boast non-slip ergonomic polypropylene soft-grip handles for enhanced safety and maximum comfort. Each knife is decorated with the Nhl officially-licensed Bruins team logo on both sides of the blades and brilliant team colors on the handle. Each blade is sure-coated so team colors and logos continue looking vibrant for the life of the blades. These knives have passed all required food safety testing. Whether you order them as a gift for a Bruins fan or for yourself, the Boston Bruins Kitchen Knives Set of 5 will guarantee that you score your goal. 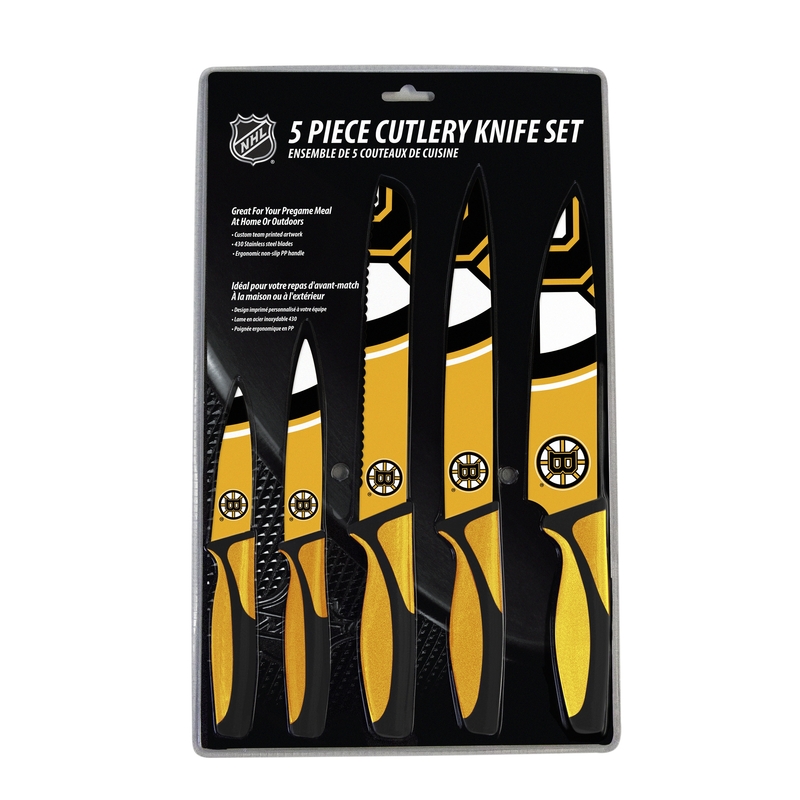 Order the Nhl officially-licensed Boston Bruins Kitchen Knives Set of 5 Now!